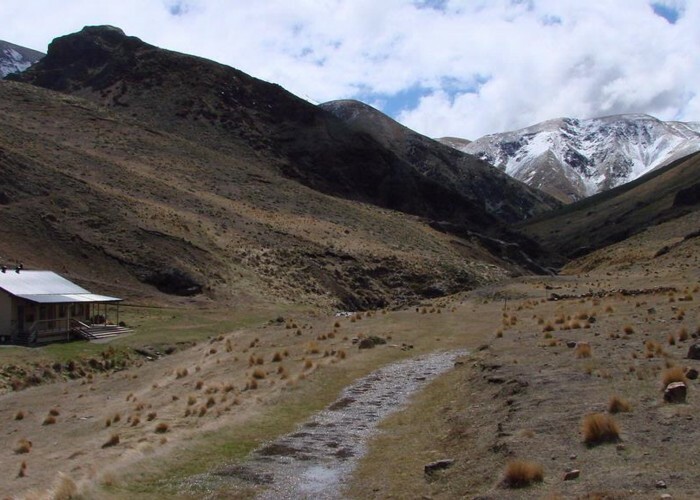 A new hut situated in a handsome tussock landscape on the Mount Somers Track. Ample camping nearby. Woolshed hut • By HAPPYMAN. From Woolshed Creek car park via either the Miners Track or the Rhyolite Ridge and Mount Somers (South Face) Tracks. From Sharplin Falls car park via the Mount Somers or the Mount Somers (South Face) Tracks. Added 7 November 2007 by MatthewMatthew. 1 revision 16 November 2008 by MatthewMatthew.